Robin Street Market - The Market Blog: Winner Of Giveaway! 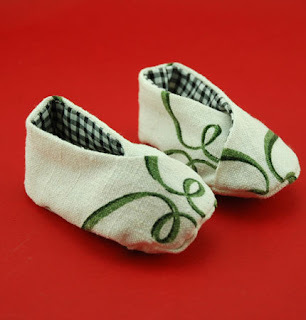 The random generator has spoken and Susan is the winner of our latest "Bibs, Booties and Bloomers" Giveaway featuring products by Paula Winspear like these groovy little booties above. Congratulations Susan, we will shoot off an email to you now to gather some details. Thanks to everyone that participated and for all the lovely comments. Have a wonderful weekend! !